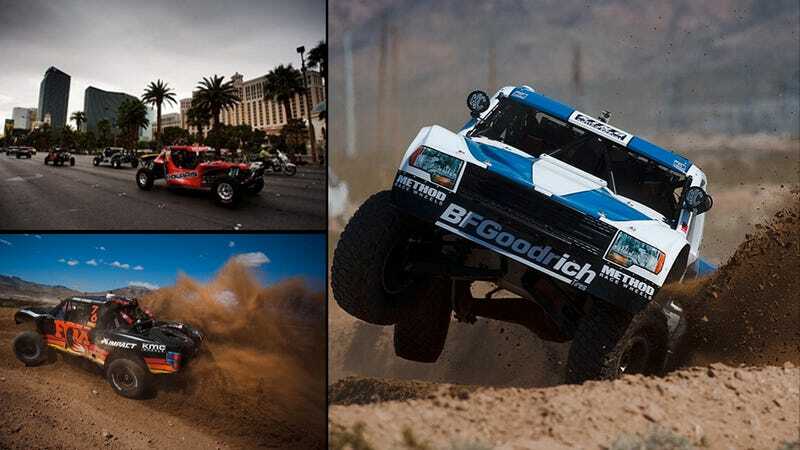 The 2015 Mint 400 motorsport circus has raged in and around Las Vegas, Nevada all week. The actual race goes down tomorrow, and the afterparty will take festivities all the way through Sunday. Put these channels in your feed and you'll see why so many people go nuts over desert racing. In the last few days The Mint has already put on an unbelievable competitor's parade through the middle of Las Vegas, a live pit-crew contest, crowned a "Miss Mint" and of course thrown down a bit of off-road action in qualifying. Official Mint 400 official social media channels– Instagram, Facebook, and Twitter have live updates. There are some great clips on YouTube from past years, and you can always check out their main site's News page to learn more about the event. Race-DeZert will be right in the middle of the insanity; keep checking there for excellent photography and race standings. For even more up-close perspectives, make sure you're following some of the off-road heroes competing this year like BJ Baldwin, Bryce Menzies, Andy McMillin, and perhaps you'll find Miss Mint 2015 Amy Scott on Instagram interesting.